Nordlaks was founded by Inge Berg in 1989. Since then, we have done most things our own way, by ourselves. Our history proves the idea behind Nordlaks; look into the future, make bold plans and realize that if its going to happen, you have to make it yourself. All our salmon and rainbow trout is traceable through the production process. We know where it has been, how it is taken care of and what it has eaten. Maybe more importantly, we know what it has not eaten. No GMO's. No antibiotics. No hormones. Nordlaks owns a third of the company "Nordnorsk stamfisk", operated by AquaGen, which selects the parent fish and then makes magic. 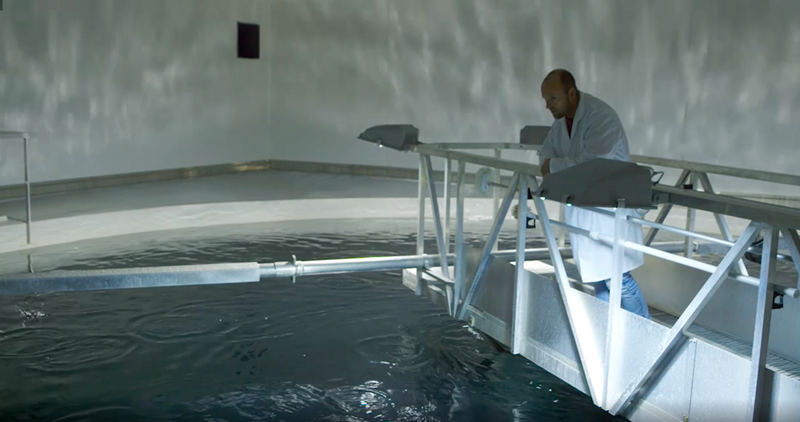 Nordlaks, together with two other regional aquaculture companies, keeps the broodstock up until selection and fertilization. 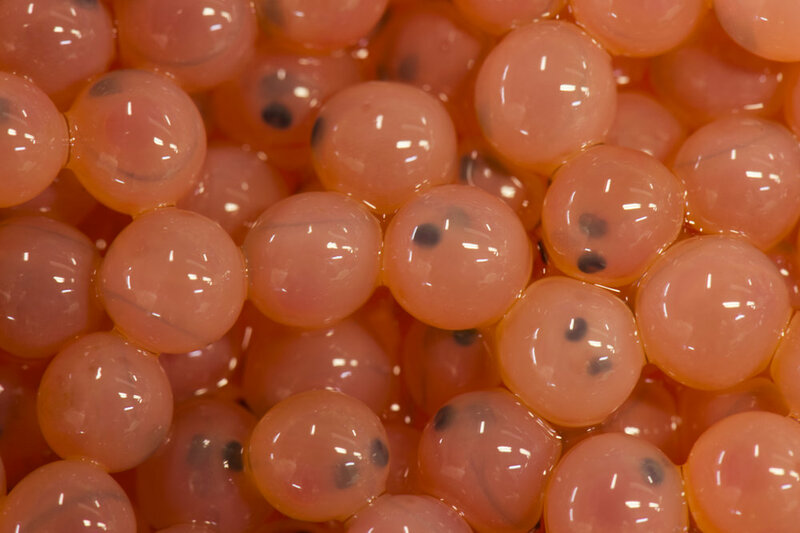 After a feew weeks, the roe have developed "eyes", and is ready for transport into one of our two facilities for spawning and on-growing. "Eyed" salmon roe just recieved from Nordnorsk Stamfisk AS in Leines (Steigen) to the Nordlaks Smolt hatchery in Mørsvika. After a few weeks in cold fresh water, the salmon roe hatches. During the first fragile life stage of salmon, the tiny fish carry their food supply (a sac of egg yolk) attached to their bellies. During this stage, the alevins do not eat, and they spend the time resting, and growing, on the bottom of the small specialiced tanks where they hatch. 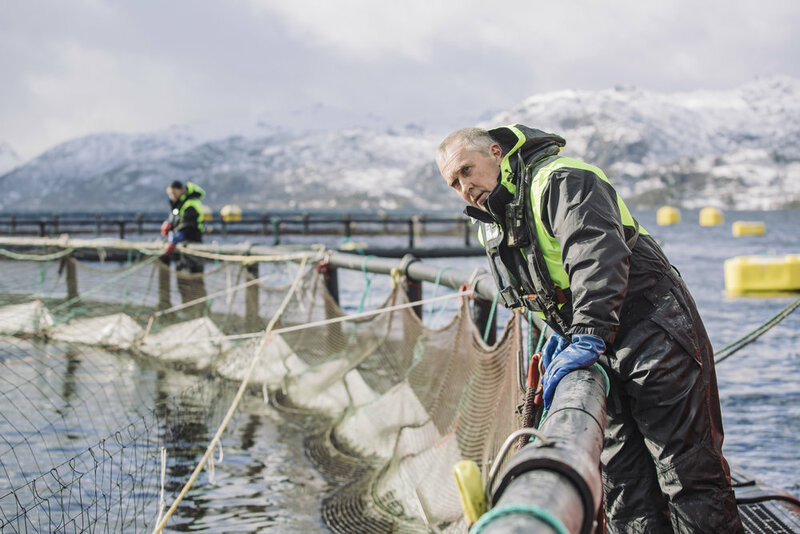 Mørsvika and Innhavet are our primary facilities for smolt production. 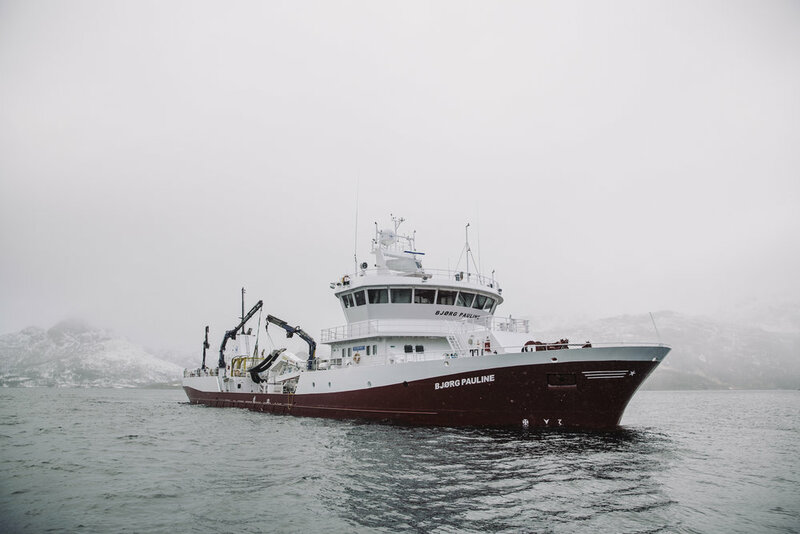 Mørsvika, completed in 2011, is still setting the standard in the Norwegian aquaculture industry especially with regards to biosecurity and technology. Our facility at Innhavet, when completed in 2019, will be the largest recirculating aquaculture system (RAS) in Norway. When the yolk sack is consumed, the fry fish looks more like a familiar, although very small, salmon. They are transferred to larger tanks where they eventually start swimming and eating. 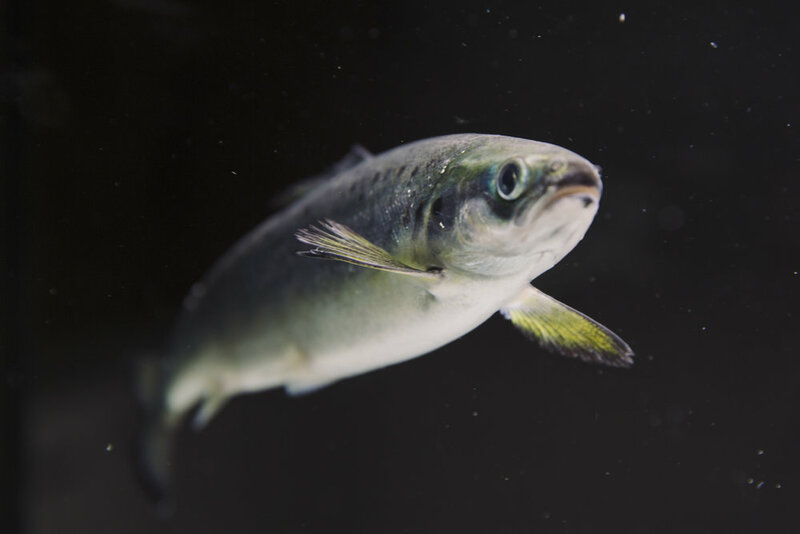 From 8 to approximately 14 months after hatching, the salmon fry start their transformation from a fresh water fish to a salt water fish. In the wild, this process starts during spring, when the arctic days become gradually longer. In farming, we manipulate the light, turning it off for 12 hours and on for 12 hours, to trigger the "spring" signal which tells the fish to start getting ready for the sea. This phase is critical. And thats why veterinerians need to make sure the fish is fully transformed to cope with salt water, before we transport them to the sea. One of the tanks at Nordlaks Smolt Mørsvika for keeping salmon fry until they are the right size and ready for our farms in the sea. The third phase starts with transport from the land-based smolt facility. In Nordlaks, we have our own transport company; Nordlaks Transport. Until 2020, when our second wellboat arrives, we have one wellboat for transportation of live salmon. BB Bjørg Pauline was delivered in 2010. The salmon is transferred to net pens at one of our aquaculture farms. Nordlaks operates 40 farms, half of which typically is stocked with fish. The other half is resting between cycles. Growing from smolt to 5 kilograms takes time. In our region, in the north of Norway, we typically spend between 18 to 22 months depending on the weather and the sea temperatures. The growth rate declines during winter, and speeds up again during summer. This directly relates to the availability of fresh salmon and rainbow trout products from Nordlaks. Nordlaks aquaculture farm at Hallvardøy, Lofoten. Nordlaks' aquaculture sites. Blue: aquaculture farms in the sea. Purple: acuaculture sites on land (smolt). Red: Main office and processing. Lighter blue: Farms for tourist/visiting and educational purposes. Click to enlarge. During the ongrowing phase at sea, our operations centre is in control of feeding and logistics. At the farms, our aquaculture technicians keep a close eye on the salmon every day and maintains the equipment and the farms for good animal welfare. BB Bjørg Pauline transport our fish to Børøya for further processing. The fish are transported live inside the wellboat, and are normally delivered into the waiting cages outside the processing factory. Harvesting of fully grown salmon from the aquaculture site. BB Bjørg Pauline transports the live salmon from the aquaculture farm to the processing facility on Børøya. A section of one of the wells (empty) onboard BB Bjørg Pauline.